mathrecpics had 2 posts recently that really made me curious. One was a ring of 7 heptadecagons and the other was a ring of 14 heptagons. In this sketch you can choose the number of sides for the regular polygon and how many sides of the polygon the copies are offset. 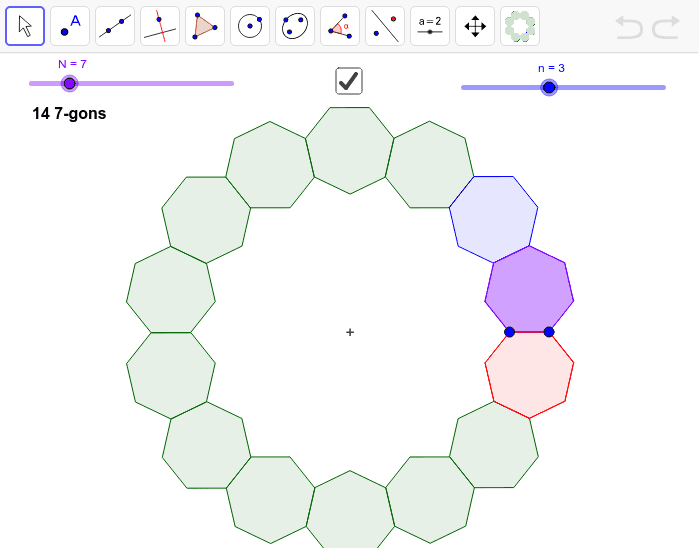 There is also a tool for making more polygon rings: two vertices, number of sides, and the offset. You can use the sliders for the two numbers as well.